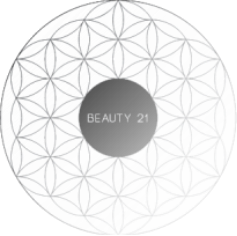 Miss Ly is The Brow Queen at Beauty 21. All our beauty angels are fully qualified and more than capable to tidying your brows but if you feel you need that little bit of extra TLC and attention... then Miss Ly is the brow artist you need! From first-timers to maintenance appointment or even rescuing a botched brow - Miss Ly will be more than happy to help you out and create a brow plan for you to follow. If your brow needs to be saved or defined and enhanced, please visit our Cosmetic Tattooing section to read all about Miss Ly's service in eyebrow feathering and facial enhancement. Ideal for first timers so she can consult and create your brow plan. Includes waxing, tweeze, tint and style. Miss Ly offers one on one private training for those wanting to add the service of Eyebrow Feathering to their clinic or salon or skill set. As it is a private course, your training will be tailored to your needs and at your own pace to ensure that you are ready to take on the brow world after. You will have ongoing support to ensure that you are always supported throughout your eyebrow feathering business journey. Course is 2 full days including a manual, three live models and a starter kit. ​Refresher one day course is also available to those who need a little extra help to tweak their skill. This is only available to those who have already done a cosmetic tattooing course.